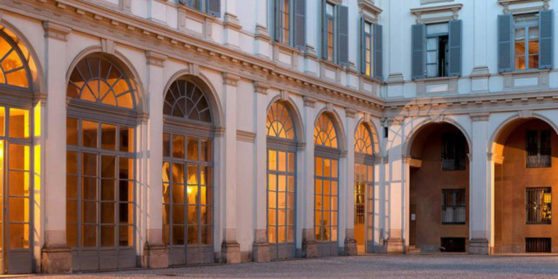 Sotheby’s established its first Italian operations in Florence in 1969 and moved the main salerooms to Milan in 1973. Since July 2015 Sotheby’s Milan offices have been located at Palazzo Serbelloni, one of the most representative palazzi in the heart of Milan. It was one of the first palazzi built along Corso Venezia in the 17th century, and was later embellished with a majestic neoclassical loggia in 1793. A representative office is located in the heart of Rome, at Palazzo Colonna, with many associates all around Italy: in Turin, Bologna, Florence, Genova, Lucca, Venice, Verona and Vicenza. 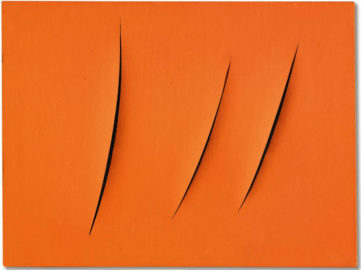 During Sotheby’s more than 47 years in Italy, many important auctions have been conducted in Milan. Early landmark sales include the sale of the contents of the Florentine residence of Prince Paul of Yugoslavia and the contents of the extraordinary residences of Countess Mona Bismarck. More recent highlights include the 2006 sale of five exceptional paintings by the celebrated artist Giambattista Tiepolo sold as a single lot for the record price of more than €6 million, the highest price ever achieved for a work of art sold in the Italian market and a world record for the artist; the 2007 sale of furniture and works of art from the magnificent collection of Alberto Bruni Tedeschi; the 2008 sale of an extraordinary single-owner collection comprised of over 2,000 pieces of memorabilia owned by the legendary soprano Maria Callas; the 2009 sale of important Old Master paintings, furniture, and works of art from the Piano Nobile di Palazzo Contarini di Corfù Scamozzi in Venice; the auction devoted to the Collection of Giorgio Soavi; and the 2011 sale of artworks from the collection of Claudia Gian Ferrari. Sotheby’s Milan currently conducts two Modern & Contemporary Art sales each year in addition to charity sales and previews of international exhibitions. Sotheby’s Milan provides estimates for all collecting categories, including Old Master paintings, 19th-century paintings, modern and contemporary art, drawings, books, works of art, furniture, jewellery and watches. Our international experts can meet with you privately and offer their unique market access and global insights to develop a personalised sale strategy that will be the most beneficial for your specific needs. After examining and appraising your property, Sotheby’s specialists will assess the best method for offering your work at auction or privately. Flexibility, immediacy and discretion are the hallmarks of selling art through our private sales. Arte Moderna e Contemporanea auction at Sotheby's Milan will be a feast for those who love Italian Modern and Contemporary Artists.